Regular exercise is essential to maximum health and overall well being. Some insurance companies have financial incentives for their customers encouraging them to exercise. Some businesses provide facilities for their employees to exercise. They know that not only will there be less lost time because of sickness but when the employee is at work, he or she will be more alert and able to focus on their job tasks. They are beginning to realize something that many doctors have been saying for years, that the human body cannot be divided into the physical and the mental. Everything is related. The brain is an organ like the heart. If exercise is good for the heart, then it is good for the brain. If it helps the heart work better, it will also enable the brain to work better. Will exercise make the difference between having a heart attack and not having one? Authorities say that is a distinct possibility. Well then, it logically follows that it could make a difference between being able to use your brain effectively for the entire day rather than only three or four hours. Would that greater efficiency benefit you in your job? That also is a distinct possibility. If exercise is that important (and it is), then it is equally important to consider things that significantly impact your exercise. Upper cervical care is such a thing. There are two ways in which upper cervical care directly affects your exercise. First, some people just do not have the energy to exercise. It is true that exercising regularly will enable your body to work better, which results in more energy, but it is difficult to break the negative cycle to get motivated to get up off the couch and exercise. Upper cervical care can enable your body to work better by removing interference in the nerve system. Often that is just enough motivation to allow you to get into a health routine. 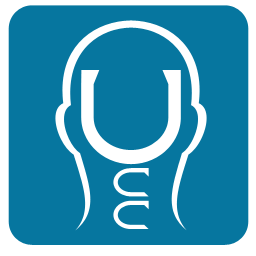 Upper cervical care can also help motivate you by helping you to understand more about the human body, what benefits it, and what does not. As you become more appreciative of the wisdom of the body that has the ability to take what you eat, as well as the exercise and the rest you get and make you all that you can be you cannot help but be motivated to take better care of your body. Besides motivation, upper cervical care affects your exercise by a physiological factor. For your body to benefit from exercise to a maximum degree, you must have a good nerve supply. You could exercise the parts of a corpse and it would not be one bit stronger, healthier or have more tone to its muscles. It needs life to get any benefit at all. In order to get the maximum benefit, a body needs the maximum amount of life, that is a full supply of mental impulses flowing over the nerve system to all parts of the body. That can only occur to its maximum potential when you are free of nerve interference due to head/neck misalignment. A paralyzed person can have their muscles exercised and receive therapeutic movements but it will not benefit them because the vital life energy is not flowing over the nerves. Similarly, if the head and neck are misaligned, it can interfere with some of the vital mental impulses that enable an exercised muscle to get stronger. If you are going to exercise and you should, be sure to not waste your time and energy. Make sure your muscles have all the energy they need to maximize their potential. Consider periodic upper cervical care so that you get the most from your exercise program.